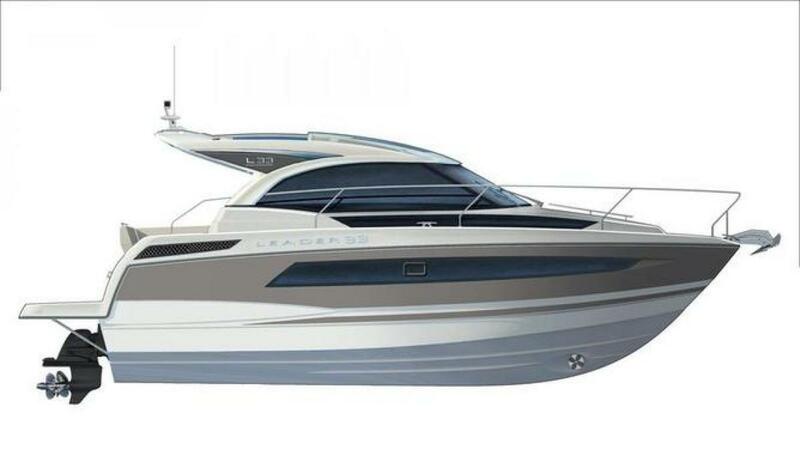 The award winning Leader 33 benefits from a contemporary, sporty look that is the signature of the Leader line. 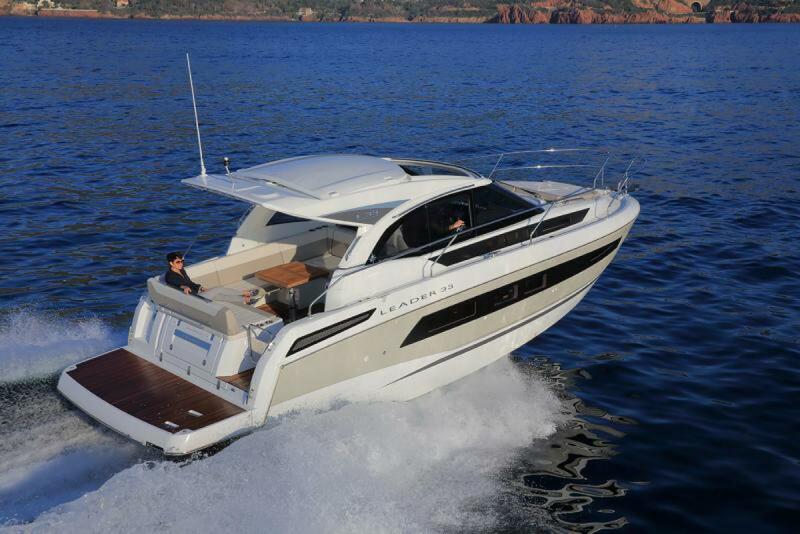 This 2017 Leader 33 features a Sport Top with an electrically opening hard top. 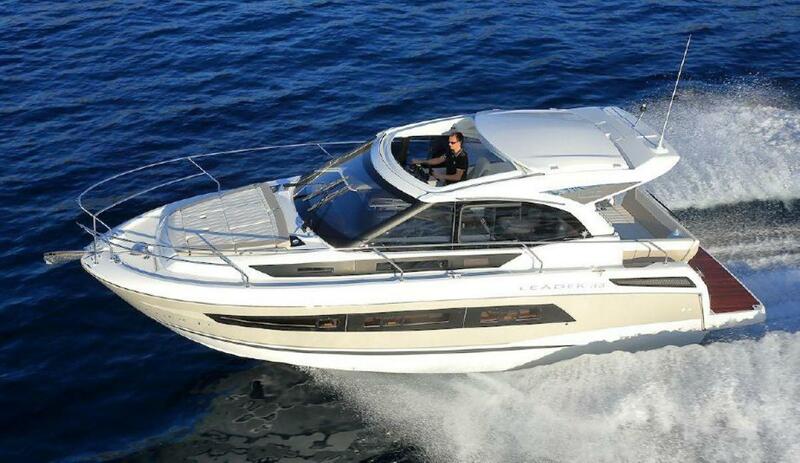 Sold new and maintained by InterMarine this Leader 33 is loaded with standard equipment and factory installed options. The Volvo Penta D3-220 diesel engines have low hours. The boat is ready for a new owner and new adventures. The spacious cockpit allows entertaining in comfort and style. Owners appreciate the attractive exterior living area and clever layout of the cockpit salon, where family and friends can relax on the aft bench seat that transforms into a sundeck. Share exceptional moments around the table in the large cockpit. The area below deck offers an amazing amount interior volume and refined design. Long windows in the hull provide impressive sea views and bathe the interior with natural light. 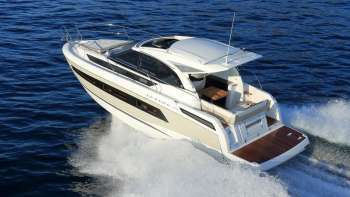 The functional layout lends itself to day boating, weekending or extended cruising. The galley features numerous storage solutions, and the head compartment offers a high level of comfort with a shower partition. The modular salon easily transforms into a beautiful private cabin with pocket door. With her generous living spaces, offering an entirely open layout by day, and a cozy atmosphere for greater privacy at night, the Leader 33 adapts to suit your rhythm and lifestyle.